Pumpkins are not really traditionally part of the Finnish kitchen whereas they play an important role in the Italian diet – especially during autumn and winter time. Fortunately for a Finnish wanna-be nonna such as myself, pumpkins are widely available in today’s Helsinki. 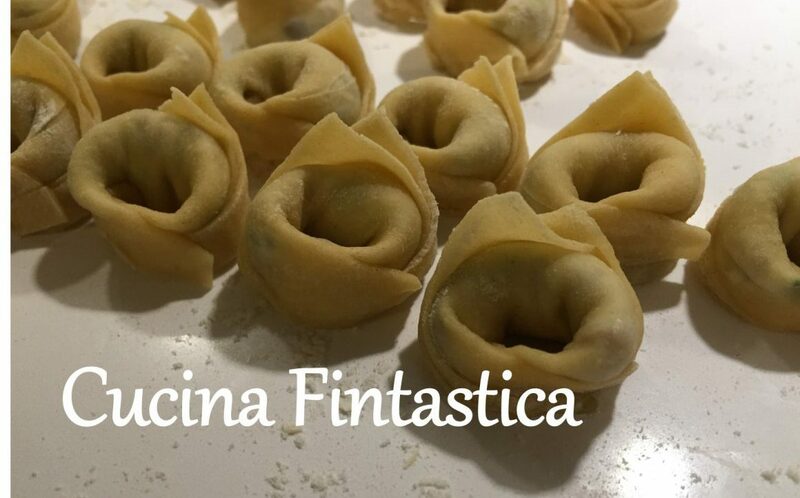 I am also quite happy that I chose those Italian grannies as my culinary role models rather than American ones (I don’t think I would survive any Halloween with my carving skills…). 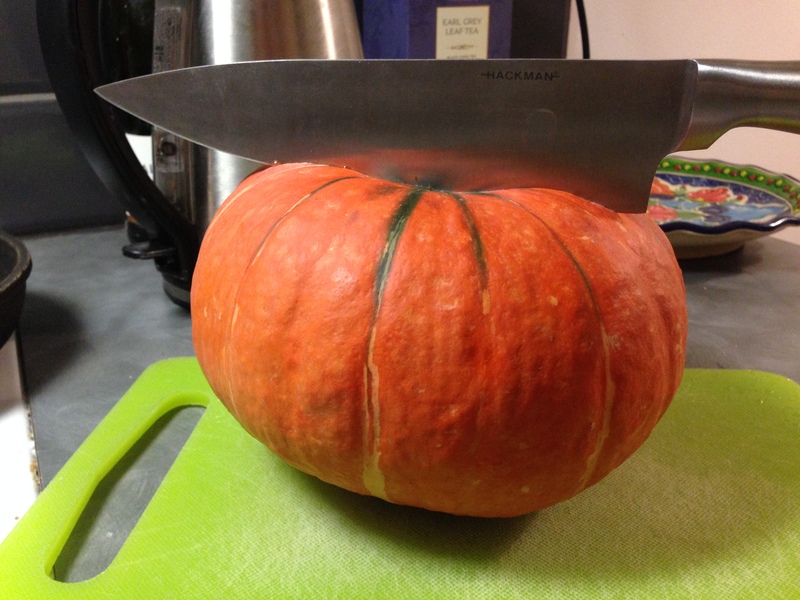 This time, I did finally manage to halve the pumpkin with my kitchen knife after some considerable effort. And once having two halves to slice instead of the entire vegetable, things got a lot easier as I could really lean onto the knife without worrying about losing a finger or two in the process. Apart from the initial pumpkin challenge, this dish is quite easy to prepare – and certainly worth the sweat in the beginning! As Giorgione also writes, the acidity of the goat cheese and sweetness of the pumpkin pair superbly. I also quite liked the extra twist that the Pecorino Romano cheese brought to the combination. Unfortunately I couldn’t get Italian caprini freschi in the supermarkets but a French chevre did an excellent job as a substitute. However, I am now planning to do a little trip to the Helsinki market halls to investigate if they could offer a bit broader range of Italian cheeses! Break/ cut the goat cheese into small pieces. Add some grated Pecorino Romano, black pepper and a little bit of olive oil. Leave to rest while preparing the pumpkin. Halve the pumpkin (with a kitchen knife, pet beaver or another power tool of your choice) and remove the seeds. You can keep the seeds and toast them for another use. Cut the pumpkin into some chunks, place them on an oven tray with parchment paper and bake them in the oven at 200C for 20 minutes. After cooking, peel the pumpkin chunks carefully and slice them into smaller pieces. Season with salt and pepper and combine with the goat cheese mixture. Serve warm or cold as an antipasto or secondo.